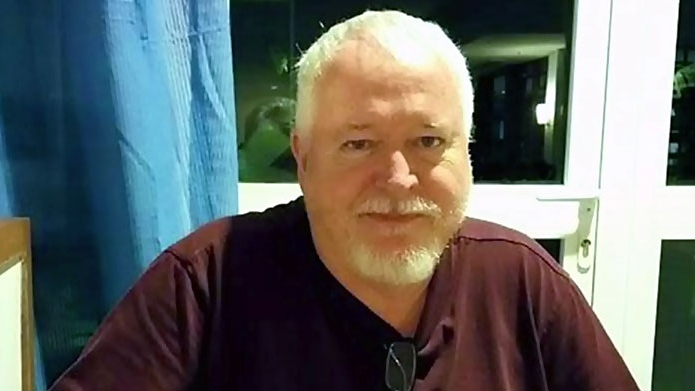 Toronto murder suspect Bruce McArthur has been charged with three more counts of first-degree murder in addition to the two counts he was charged with earlier in January. 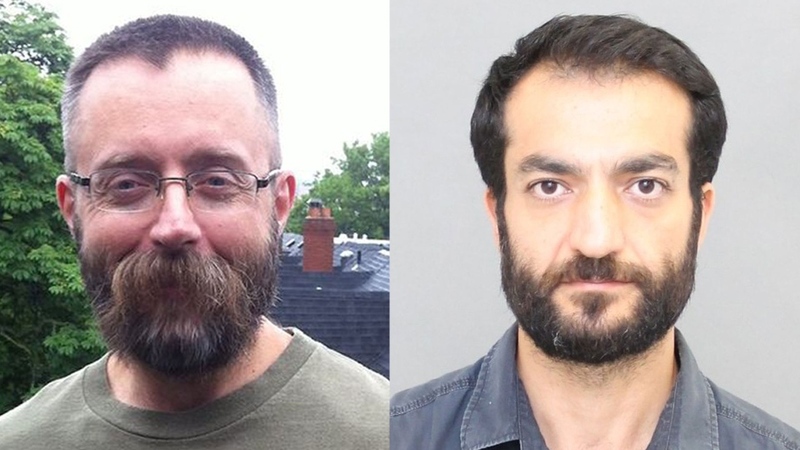 The new charges are in connection to the deaths of Majeed Kayhan, Soroush Mahmudi and Dean Lisowick. The earlier charges were connected to the deaths of Andrew Kinsman and Selim Esen. McArthur was arrested on Jan. 18 and charged with two counts of first-degree murder in the presumed deaths of Andrew Kinsman, 49, and Selim Esen, 44, the following day. Kinsman was last seen in late June, while Esen disappeared in mid-April. On Monday, police held a press conference to announce the latest charges against McArthur and update the public on the investigation. Police said McArthur worked as a self-employed landscaper in the Toronto area and is known to have worked at 30 different properties within the city. At this point, investigators said they have searched the majority of them. The remains of at least three unidentified individuals were discovered in the backyard of a residence located on Mallory Crescent, which McArthur used for storage, Det. Sgt. Hank Idsinga told reporters on Monday. “Where we’ve recovered the bodies are from large planters and they’ve been hidden in the bottom of these planters,” Idsinga said. Police said they have seized many planters and that there are at least two sites that investigators would like to excavate for bodies. In addition to the 30 properties where police believe McArthur may have worked, investigators are also thoroughly searching his apartment in a high-rise in the city’s Thorncliffe Park neighbourhood for evidence. On Jan. 18, they also combed through a rural property belonging to McArthur, located in Madoc, Ont. in eastern Ontario. Joanne Irvine, a neighbour of McArthur’s property in Madoc, told CTV News Channel that she noticed a large police presence at the property on the day he was arrested. 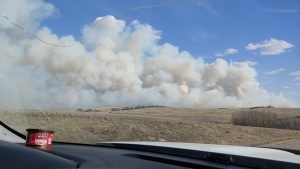 She said the police were focused on searching the back of his land, which is approximately 20 acres. McArthur was busy tending to his “elaborate” gardens in front of his house or caring for birds that he raised in an out building on the property, according to Irvine. Irvine said McArthur mostly kept to himself and the most of the members of the community hadn’t had a chance to meet him yet. “We knew the guy that sold it [the property] to him and he did say the man was looking for privacy because he had these birds that he raised,” Irvine said. When he wasn’t tending to his gardens or caring for his birds, McArthur was also active on a number of online dating sites, according to police. Two of his victims, Esen and Kinsman, also frequented the sites, police said. It’s believed that McArthur and Kinsman had a sexual relationship for some time, but it’s unclear what his relationship with Esen might have been, police said. In December, Toronto police issued a warning about dating apps, such as Tinder or Grindr, in relation to the disappearances of Esen and Kinsman. Although police initially identified a link between Esen and Kinsman because they both went missing from Toronto’s gay village, the latest evidence pertaining to the three new victims means the investigation has been broadened beyond the neighbourhood. “It certainly encompasses more than the gay community – it encompasses the city of Toronto,” Idsinga said. The police task force investigating the deaths of Kinsman and Esen have been sharing information with another task force looking into the disappearances of three other men from the village in 2012, police said earlier this month. One of those men, Majeed Kayhan, was identified as the one of McArthur’s alleged victims on Monday. Last week, CTV News learned that McArthur had been previously convicted of assault. Court documents showed that he was found guilty of one count of assault causing bodily harm and one count of assault with a weapon in connection with an incident in 2001. McArthur was given a two-year conditional sentence and ordered to receive counselling in 2003. He was also banned from visiting Toronto’s gay village and from associating with male prostitutes. A Facebook profile belonging to McArthur, which has since been taken down, offers other clues about his life; for example, he often posted recipes, images of animals, and trending videos. He was also pictured in photos with friends out in the village or at other events around the city. One photo McArthur posted showed a large group of people celebrating Nowruz, the Iranian New Year. A number of photos on his profile appear to show McArthur dressed up as Santa Claus and posing for photos in a mall setting. According to his bio, McArthur attended Fenelon Falls Secondary School in the Kawartha Lakes area. On McArthur’s list of Facebook “friends,” one of the men who went missing in 2012, Skandaraj “Skanda” Navaratnam, was displayed as one of his connections. As the investigation continues, police are encouraging anyone else who may have employed McArthur to come forward. Police said they believe there are more victims, but would not speculate as to how many. None of the murder allegations have been tested in court. Bruce McArthur is seen in this undated photo.